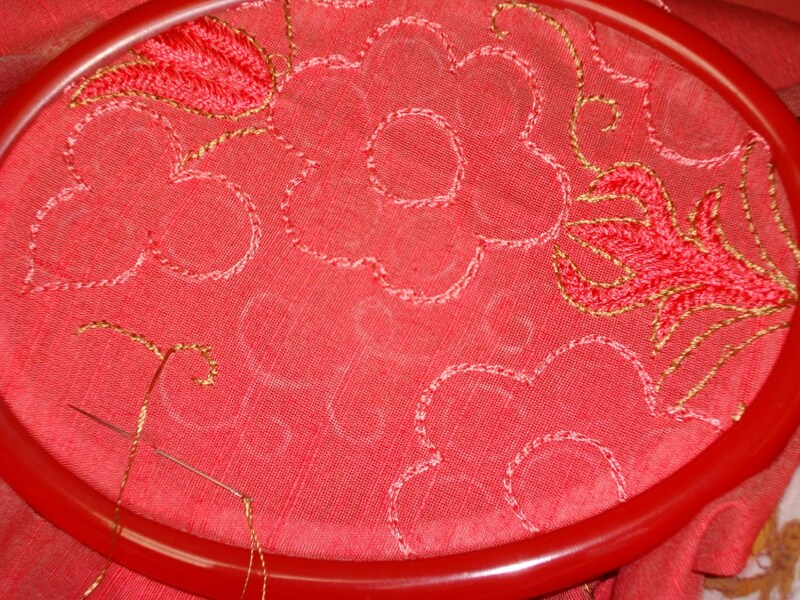 Since I had not taken pictures of the complete work in progress, I am uploading the close ups of the same motif. 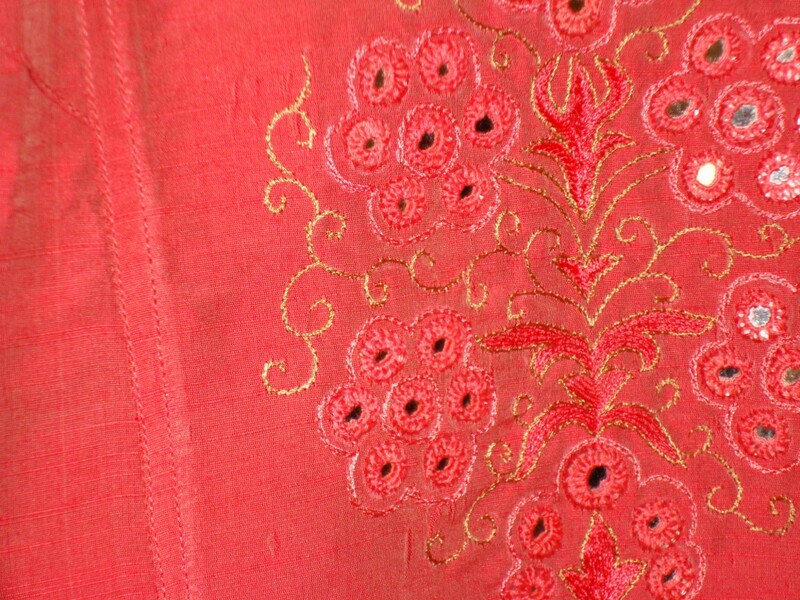 Actually I had worked the sleeves of this tunic also with the same floral mirror motif, which I forgot to mention before. 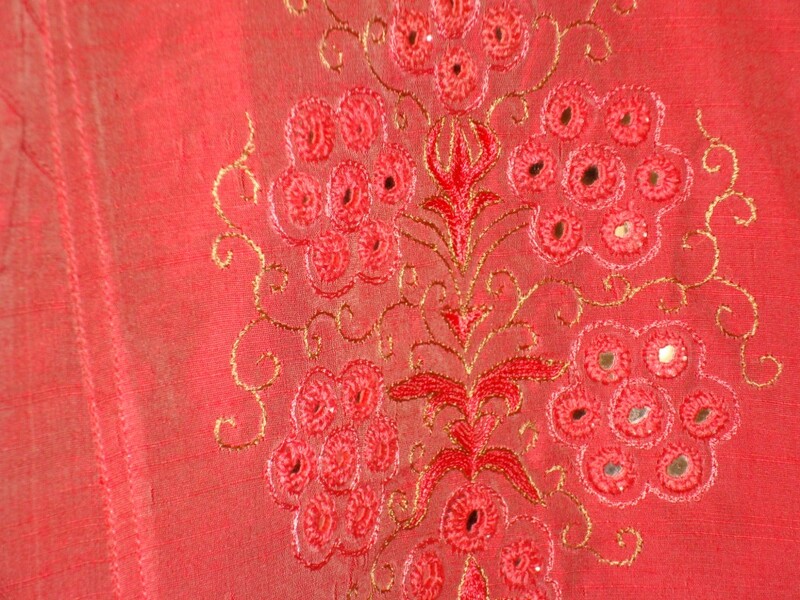 The whole embroidery was worked on sewn tunic, and it was a little difficult to work on the sleeves, but placing the mirrors did not involve any extra effort though. 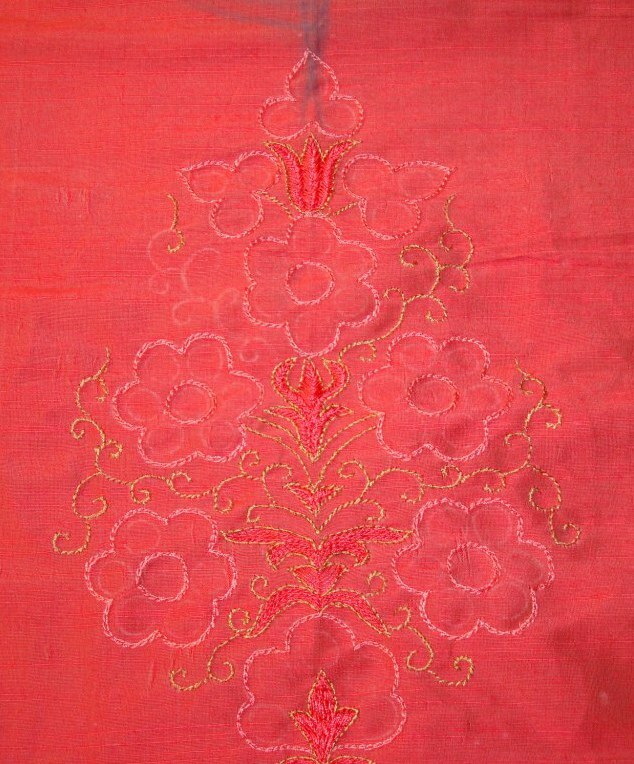 The embroidery part of the motif is completed in this picture. Mirrors and completed tunic on my next post. I don’t remember where I got the inspiration for this mirror work idea. The idea- to work the mirrors in the same shade of the fabric ,on a traditional Indian motif pattern . 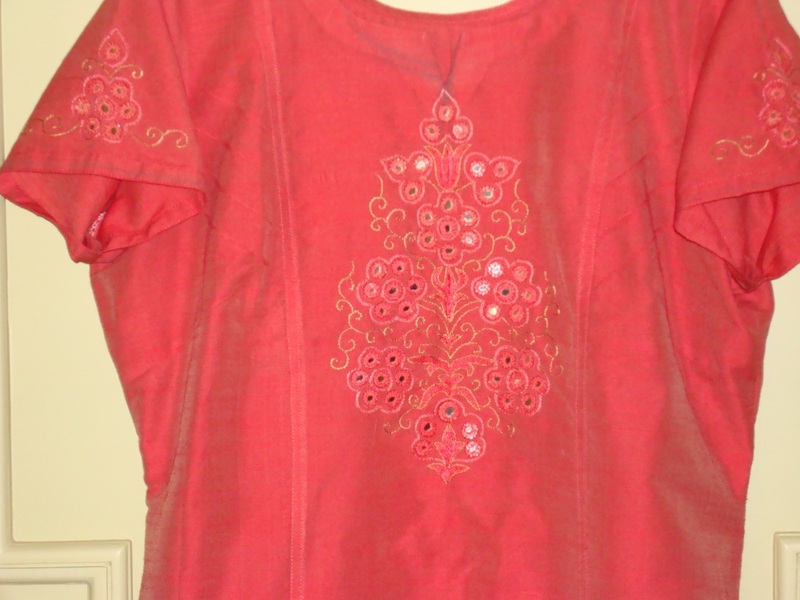 Choosing colours was not a big thing.the tunic fabric was peach colour mercerized cotton. The mirrors were to be worked in this colour thread. 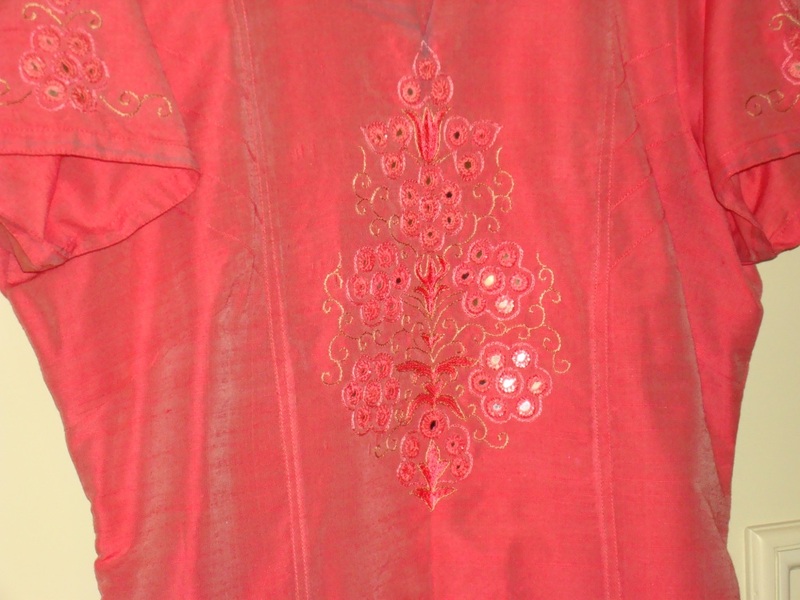 Another choice of colour was beige, the filling was worked in darker shade of peach in silk thread. 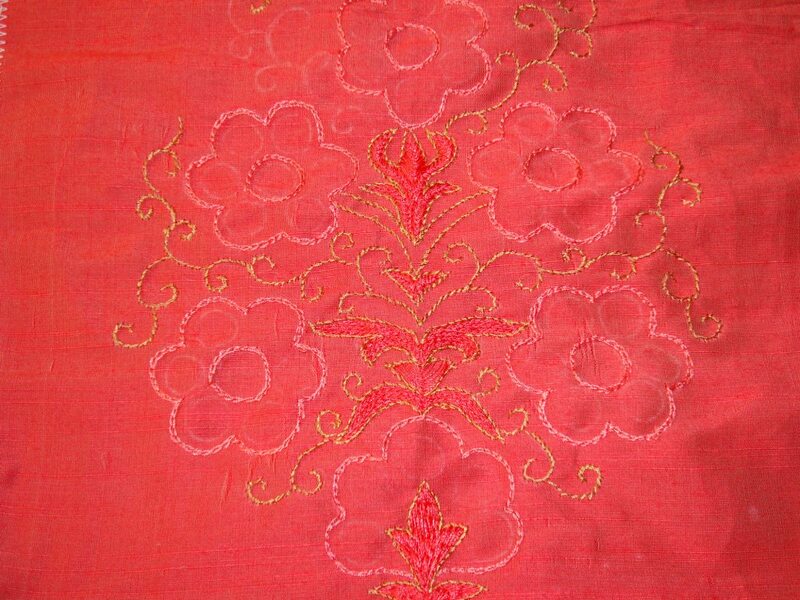 Completed embroidery on my next post.